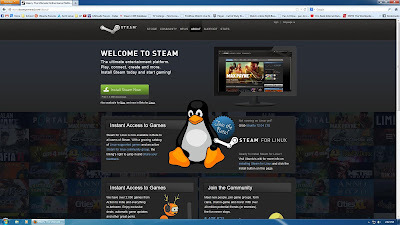 After the launch of Steam Linux beta, you may have seen a big Tux logo on Steam client download page. 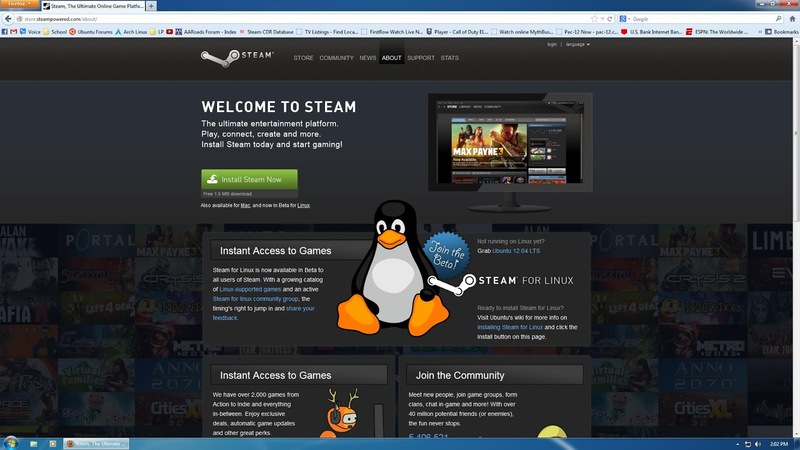 When visiting Steam download page from a web browser running on a Linux based OS, you are pointed to Linux version of Steam and a promo ad about Steam Linux beta is shown. However, Valve is now showing the same page to Windows users as well, encouraging them to download Ubuntu and try out latest Steam Linux beta. Not only Valve is promoting their newly launched product, they are also actively advertising Linux with lines like "Not running on Linux yet? Grab Ubuntu 12.04 LTS".